It's almost time for the 35th Annual HK's Benefit Golf Tournament!!! This is a great event to help raise funds for our local nonprofit Lake Regional Hospital. In the early 1970s, the closest hospital to the Lake Area was approximately 50 miles away and a group of community-minded residents knew the growing population needed their own local hospital. Harold Koplar, founder of The Lodge of the Four Seasons, helped organize the HK's Annual Hospital Benefit Tournament to aid in the funding of the Lake of the Ozarks General Hospital, later renamed Lake Regional Hospital. This event has grown over the years and has a major impact in the expansion of Lake Regional Hospital. This year, the funds raised at the event will help expand the Sleep Medicine program by adding two rooms and purchasing the latest technology for monitoring sleep patterns and equipment for home studies. Summer Hill Penthouse! Price Reduced! The Fran Campbell Team is proud to announce they are highly ranked in the region!! In a comparative review of all the RE/MAX offices in the states of Arkansas, Missouri and Oklahoma, the Lake of the Ozarks Realtor, Fran Campbell Team ranked number six. In the entire state of Missouri, Fran Campbell Team ranked number three. Awards were in two categories - both the number of real estate transactions and the overall volume of dollars. 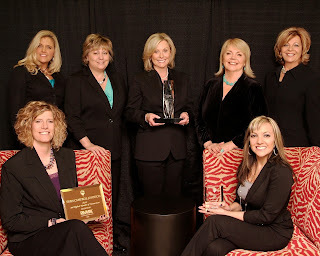 We were also privileged to receive one of only four 2012 RE/MAX Chairman's Club Awards! Our Team strives to continually be the best Realtor at the Lake of the Ozarks as well as in our region. When you are ready to work with one of the best, be sure to call the Fran Campbell Team at 573-302-2390! !